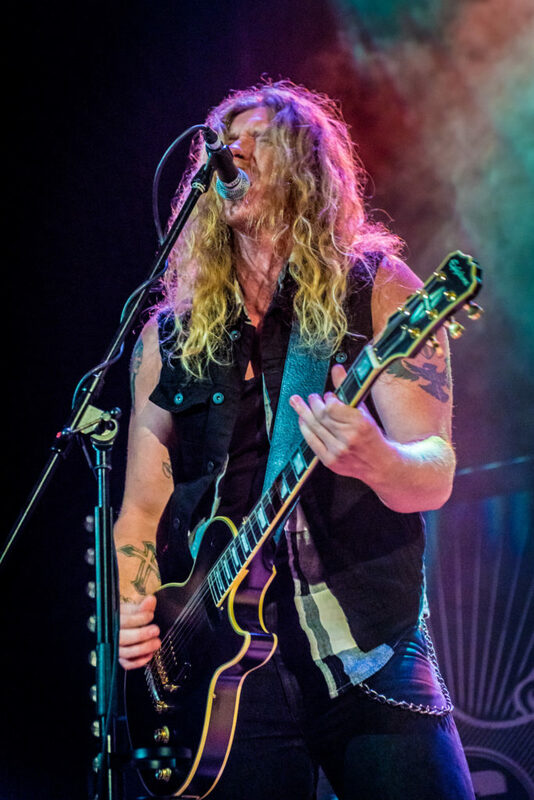 On his recent UK tour, American guitarist, Jared James Nichols talked to Blues Matters writer Nicholas John. 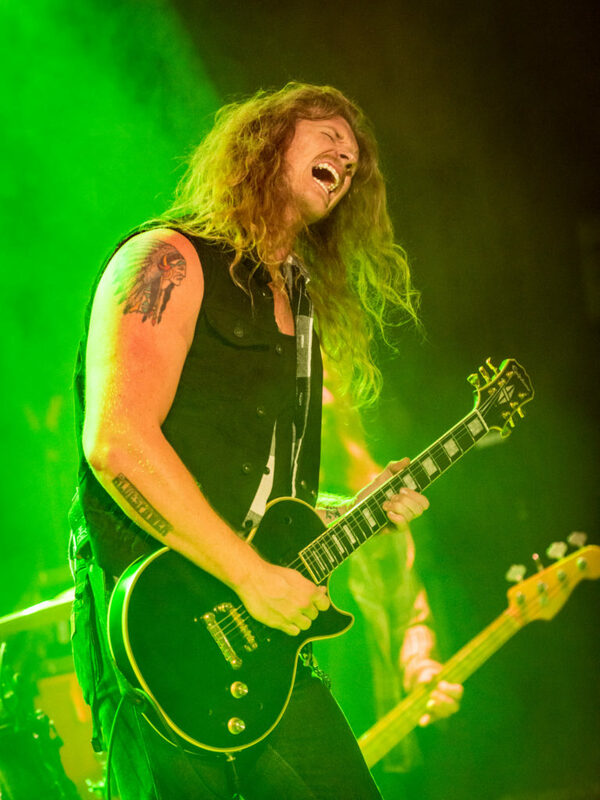 YOU DO A LOT OF TOURING IN THE UK AND YOU’RE CURRENTLY ON TOUR WITH L.A.GUNS, THEN DOING SOME HEADLINE SHOWS ON YOUR OWN. YOU OBVIOUSLY BELIEVE IN THE HARD WORK ETHIC! Absolutely! I believe that it’s more important now than ever, even though we’ve all got social media. I think it’s so important to be in a real venue, with real people, growing our fanbase like that. I am so in love with touring and travelling and meeting people. The UK is such a great hub for someone like me because there are so many music lovers here. We can go to any town and find people who love great music. And the weather is so much better this time! We were here in February in the worst snowstorms – this time the weather’s been great and the shows have been amazing. YOUR MOST RECENT ALBUM, ‘BLACK MAGIC’ HAS HAD GREAT REVIEWS AND WON YOU A LOT OF FRIENDS. IT’S SHORT, SHARP AND CONCISE, WHICH SURPRISED ME IN A WAY BECAUSE YOU LIKE A SOLO, JARED! DID YOU MAKE A CONSCIOUS DECISION TO KEEP THINGS TIGHT? Well the first thing I’d like to say is that when I recorded my first album (2015’s ‘Old Glory And The Wild Revival’), it was the first time I’d ever really been in a studio, so I didn’t know what it was going to sound and feel like – and I was very worried and stressed. The whole time I was biting my nails hoping it would be something I would be proud of. That record came out and we toured it for about two years. 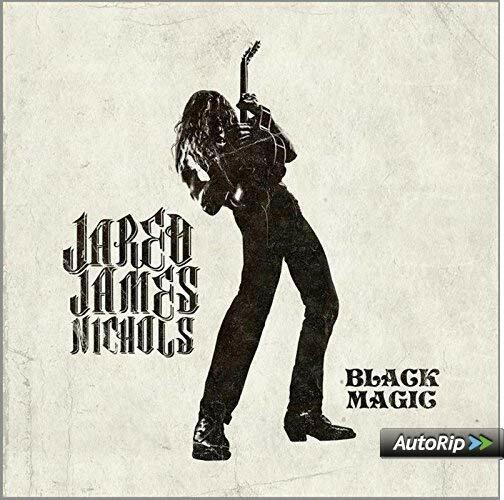 So, now what you hear on ‘Black Magic’ is the sound of the band stripped down to the core – the simplicity of guitar, bass, drum – the power trio, with a little bit of sprinkling on top! For me, it was a very conscious decision to concentrate on the songs. The guitar is always there but I made it like an old-school album with songs that could be singles. THE ALBUM FEELS LIKE A CLASSIC 70’s RECORD MADE FOR VINYL: FIVE TRACKS ON EACH SIDE, THE WAY THE TRACKS WERE SEQUENCED. It really was. I made this record with one of my best friends, Tony Perry. His dad is Joe Perry of Aerosmith. The whole time we were making this record, we were doing it in some really cool studios like Johnny Depp’s studio and we were conscious of this feeling of rock music from 1966 to 1970, which has some of my favourite songs, like Mountain’s “Mississippi Queen” which is short and to the point – about 2’40 or thereabouts. A LOT OF PEOPLE JUST KNOW THE LIVE VERSION, WHICH IS MUCH LONGER AND WHICH YOU COVER LIVE AS WELL. Well, it’s cool for us to stretch it out live! But, yeah, I’m really happy with the record and I’m really happy that people like it. DO YOU WRITE THE SONGS ON YOUR OWN OR WITH THE BAND? I kind of had them before I brought them to the band but, because we’re on the road so much, a lot of the songs were written during soundchecks or backstage. I didn’t really have the time to breathe in what was happening because we were touring so much. We’d done the World Tour with Zakk Wylde and I was trying to catch my breath, but I knew in my mind that I needed to keep writing. We’d do riffs at soundcheck and some of the songs were born out of that. The song “What Love” is just me with the guitar with a bass string on it and that song is a first take demo which made it onto the record. And like you said, all those guys in the 70’s were really singing, really playing and that’s what I wanted to do. LET’S GO BACK A BIT JARED: YOUR MOTHER TOOK YOU TO A BLUES JAM WHEN YOU WERE 15 YEARS OLD AND THAT WAS WHERE THE BUG HIT. YOU’RE AT THE HEAVIER END OF THE BLUES SPECTRUM BUT IT SEEMS THAT THE BLUES INFORMS EVERYTHING YOU DO MUSICALLY? Yes, it does. I grew up playing shuffles and I knew more about blues music by the time I was seventeen or eighteen than maybe anyone needs to know! It always influences me as a singer and a guitar player. It’s always my first starting point. 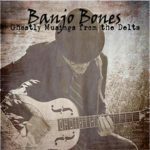 I love blues and I want to honour and respect it for the tradition it has but I also want to move my music on from the ultra-traditional route. 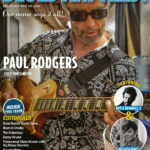 I want audiences to know that the blues is still relevant and when I play festivals like Ramblin’ Man, or Download or wherever – I want them to hear that blues-tinge in my music. I look back to say, Cream, with that fusion of everything. And I still only really listen to blues, I don’t really listen to heavy rock. Just today, we were listening to ‘Buddy Guy & Junior Wells Play The Blues’…I love that stuff! Yeah, absolutely. I think the blues is emotional music, you can feel it. I was at a bar with a friend and we were talking about Johnny Winter and a lady walked up and she said she loved Johnny Winter but she couldn’t listen to him because it made her want to drink, it made her too sad. When you listen to Johnny Winter, it’s like “who hurt you man?” It’s crazy! So, yeah, I can’t turn away from it, the blues is deep-down, it’s my first love. WHICH BLUES MUSICIANS MOST INFLUENCED YOU WHEN YOU WERE STARTING TO PLAY? I loved Muddy, Howlin’ Wolf, Buddy Guy, Otis Rush and then the late-60s British blues stuff like Cream, John Mayall’s Bluesbreakers and Peter Green and Fleetwood Mac. Then Kossoff, Leslie West, Stevie Ray and Johnny Winter…the list goes on! I WATCHED THE VIDEO TO ‘LAST CHANCE’ WITH THE VISUAL REFERENCES TO CREAM AND LYNYRD SKYNYRD. I FIRST BECAME AWARE OF YOU WHEN YOU WERE DOING SUPPORT SLOTS ON SOME REALLY BIG TOURS – ZZ TOP, GLENN HUGHES, WALTER TROUT AND LYNYRD SKYNYRD. BUT YOU’RE NOW BOUNCING BETWEEN HEADLINE SHOWS, SUPPORTS, DOUBLE-HEADERS: HOW DO KEEP ON TOP OF IT ALL? AND FINALLY JARED, WHAT ARE THE PLANS FOR THE NEXT RECORD? I’ve got some big plans for the next record. I don’t want to say I’ll be “going back to my roots” but it’s gonna be down-and-dirty blues, definitely. I’ve been listening to the live Cream albums, the extended jams and maybe that will come out….we’ll see.